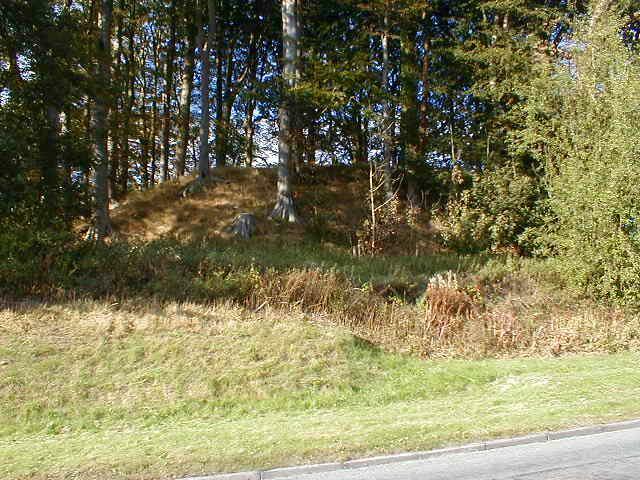 The large motte at Trecastle viewed from the east (above) and the south (below). This is the best preserved motte and bailey castle in Breconshire. 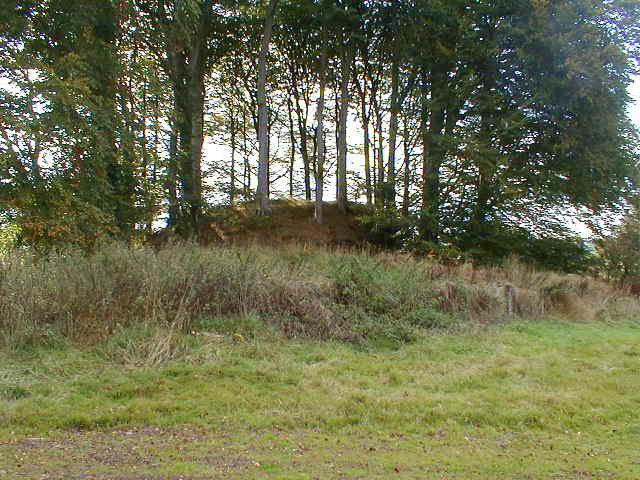 An oval tree-clad motte 6m high occupied the east half of a bailey platform 115m long by 45m wide. Circumstantial evidence suggests the castle was built by Bernard de Newmarch c1095 and fell to a Welsh attack sometime between 1121 and 1136. It was probably then abandoned although possibly rebuilt in the 1150s by Walter Clifford.